You need to download node.js for its node package manager (npm). With it we can easily install babel and grunt. This will globally install the grunt interface. 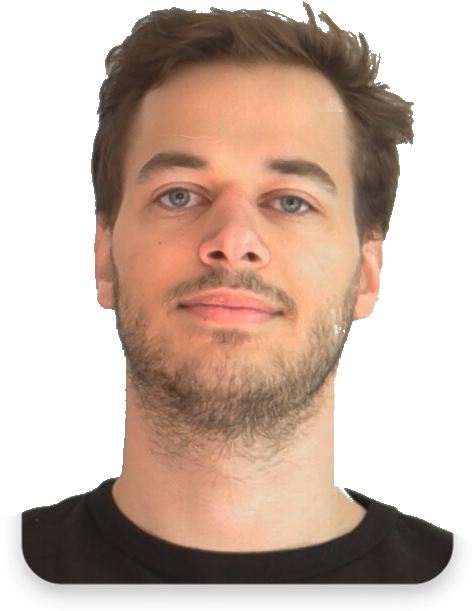 To use npm from within Sublime Text we need to install the npm package. In Sublime Text hit CTRL + SHIFT + P and type in “Package Control: Install Package”, then type in “npm” and install it. When you hit CTRL + SHIFT + P now you should be able to search for list of npm commands. In sublime go to your folder and hit CTRL + SHIFT + P and execute** “npm: Install Saved Package”**. This will install all the dependencies specified by “devDependencies” in the package.json file. The gruntfile.js file specifies which tasks grunt should automate, here the babel block defines that we want to take all files from “src/js” that end with “.jsx” (written in ES6) and use babel to compile them to ES5 files into “src/js-compiled” with the name extension “-compiled.js”. The source map is specified to still be able to debug these files in ES6. 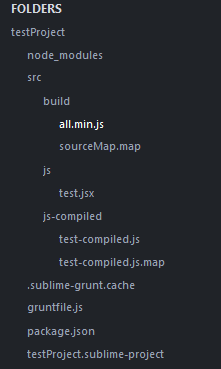 The next command that grunt automates is the “uglify” block which puts all these freshly compiled files from “src/js-compiled” into just a single one named “src/build/all.min.js”.